Mgbidi—CHIEF Security Officer to late General Sani Abacha, Major Hamza Al-Mustapha, has appealed to the General Overseer of the Lord’s Chosen Charismatic Revival Movement, Pastor Lazarus Muoka, to come to the North to rescue the 19 northern states from incessant crises in the area. Al-Mustapha, founder of Green Party of Nigeria, GMP, who made a surprise appearance at Mgbidi, in Oru West Local Government Area of Imo State, accompanied by two Kaduna State Christian clerics, Pastor Aminchi Habu and Dr. Gora Philemon, spoke at the last day of the 4-day International Miracle Crusade titled; What God has determined Shall be done, organized by the Lord’s Chosen at Mgbidi. Addressing the worshippers, he explained that his mission was to acknowledge Muoka as a man with a peculiar interest in Nigeria’s problems, especially in the North and appealed for his intervention before the unrest escalated into something bigger. The former CSO lamented that the 19 northern states were presently faced with so many social problems requiring sincere and honest people like Muoka, who could direct and pass the right messages to the people. “We want Pastor Muoka to extend his evangelism to the North, so as to change the situation for good. If we allow terrorism to get deep and rooted, it may snowball into affecting other parts of Nigeria. Besides people are dying every day. So, there is need to bring people who have the capacity to bring Nigeria out of its present situation,” he appealed. “Infrastructure is nowhere to be found, so many promises, but not fulfilled. There is too much money, but nothing to show for it. Institutional decay, nepotism, gender inequality problems etc are posing serious problems in Nigeria. Besides, people are dying every day, so there is a need to bring people who we know, have the capacity to bring Nigeria out of its present situation,” he opined. 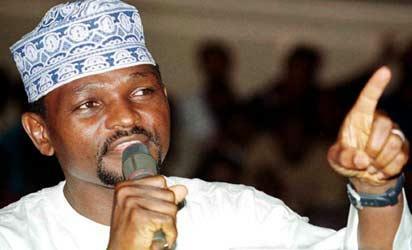 The post Come to North and rescue our youths, Al-Mustapha appeals to Muoka appeared first on Vanguard News. Next Exposed: 3,000 Year-Old “S3x Herbs” That is Helping Men Permanently Cure Weak Erection and Last Upto 48 Minutes In Bed.